1. Currently there is no minimum time requirement for a submission in Audio Visual and Moving Image, only a maximum time limit. This is to ensure as much flexibility as possible for candidates working in the new media. However, it is anticipated that many submissions will be close to the maximum limit. In making a decision about an application, the Panel will be primarily concerned with the quality of the submission rather than the length of it. 2. Candidates may wish to consider submitting two or more shorter pieces within the time limit in order to show their versatility. 3. As this is a completely new panel working to new criteria, there will be a two tier process. All applications recommended for a distinction will be reviewed by the Fellowship Board on the 23rd May and candidates notified of their results by the 25th May. Where a candidate is not successful, a feedback letter giving the reasons will be sent within 14 days of the assessment. 4. Candidates should be aware that the current criteria and arrangements will be reviewed in the light of experience and changing technology. Adequate notice will be given of any changes. On 22nd September, the new distinctions panel met for the first time. At this stage (24th Sept), we know that the first distinctions panel will be held on 4th April 2012, for LRPS and ARPS. The requirements for AV submissions are similar to previously. Some changes, however, include the possibility of including video and ‘third party’ images and the need at ‘A’ and ‘F’ for a detailed written statement of intent. Why have we got a new distinction? Audio Visual, as well as video and other multimedia techniques, have recently changed quite rapidly. The RPS has taken the initiative, to review these technologies, so that it can fairly assess contemporary work, as well as what might come in the future. Bringing these areas together under Multimedia and Narrative means that an applicant, now or in the future, won't be constrained by outdated rules. Does that mean that the RPS AV group is dead? Definitely not! While the possibilities for distinctions are wider, Audio Visual is still a discrete form of presentation and the RPS AV group will continue to support AV workers, through meetings, competitions and the regular AV News magazine. From an AV perspective, what is different? The new distinction has opened up the possibilities. It will still be perfectly possible to submit Traditional AV´s, but equally we will be able to include animation, video and some 'third party' images if we want to and if they are appropriate. What all 'A' and 'F' applicants will have to do, which is new, is provide a structured statement of intent, which will include the outline/script/storyboard, how the applicant developed their work and the intended audience for the work. Who will be assessing the new distinction? Because the breadth of the distinction is wider, the panel's expertise has to be wider, but among the six panel members are three well known and experienced AV workers, Richard Brown, Keith Brown and Ian Bateman. I want more specific detail, where do I get that? Firstly, read the Full Article by Mike Hallett to help understand the rationale behind the distinction. More specific guidance for the distinction will be produced by the panel members. They meet for the first time on September 22nd 2011, so we hope that we will get guidance soon after that. We will link to this as soon as it is available. Can I get advice about my sequences? In the past the Chairman of the AV Panel offered advice to individuals about their sequences. We hope that a mechanism will be put in place for potential applicants to get specific advice about their work. We are also exploring whether we can run an RPS distinctions advisory day, as happens with other aspects of photography. So when can I apply for a distinction? There is no fixed date yet, but the aspiration is to have the first assessment panel sometime early in April 2012. This will probably be for 'L' and 'A' submissions only in the first instance. Do please consider applying. How do I keep up to date with developments? Keep an eye on the website, articles will also appear in AV News and if you are an RPS AV Group Member make sure that the RPS has your current email address. The RPS AV Group awarded a Dobson Henry Medal at the National Championships. 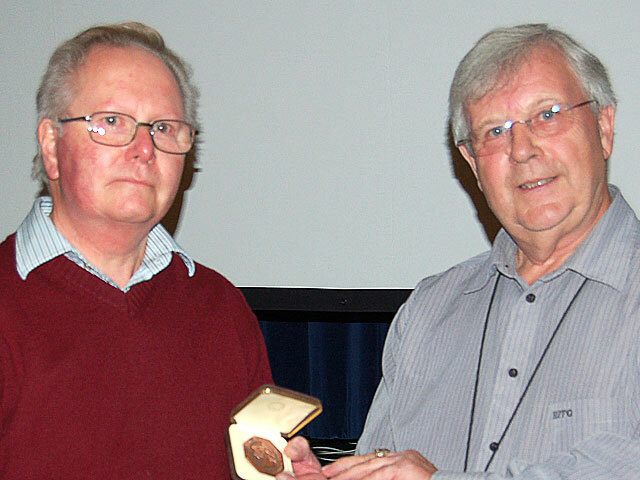 This medal is given for services to AV and was presented by Keith Scott AV Group Chairman. Along with the improved user interface the new major version offers advanced sharpness management options and allows embedding video files in slideshows. Version 7.0 comes with a number of enhancements aimed to boost usability and provide users with more tools for their creative ideas. Besides images, PicturesToExe now allows adding video files to a slideshow. Not only can you add a video - you can also spice it up with the whole range of effects offered by the program (which includes zooming, rotating, 3D, and more). Sharpness management options to bring the focus to the most important details. With a couple of clicks you can adjust sharpness, emphasizing every detail. If you are looking for the opposite, apply unsharp mask. The mask works even for animated slides. Improved user interface to streamline slideshow making and editing. While being powerful, PicturesToExe Deluxe is surprisingly easy to use, much due to its intuitive interface. Striving to further improve the usability, the developers have added a few tweaks. For users' convenience, information on the time of a slide and duration of transition effects is now available in the slide list. The Main window of the program has also been updated to provide smoother experience. The Extensive functionality of PicturesToExe Deluxe has already been appreciated all around the world. This is especially true for the UK and France, where the software has become users' first choice for creating audio and visual shows. 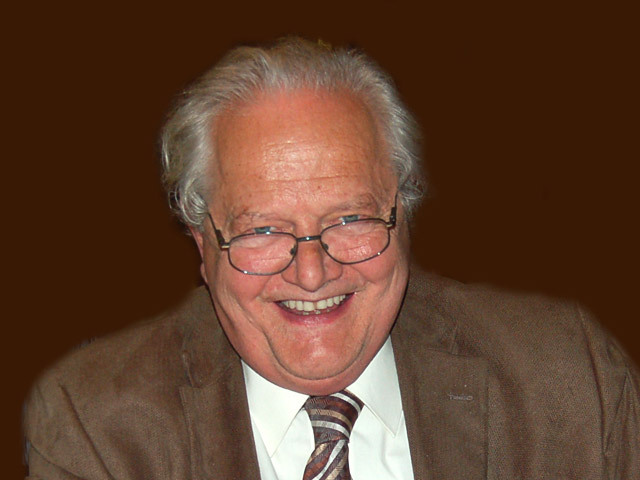 It is with great sadness that we heard of the death of Peter Coles. He had not been well for a while and had been in hospital for the last two and a half weeks. On Wednesday 30th March he suffered a big heart attack and did not recover, passing away on 31st March. The funeral was held at 2.0 pm on Friday 8th April 2011 at St. James the Great, Church Lane, Hebden Bridge, HX7 6DS, with burial afterwards. For those of you who were unable to make it, we attempted to record the Service despite the sound system in the Church being rather low volume. There is also available a short AV made by Howard Bagshaw. FADE is the new AV Group of Fentham PS in Sutton Coldfield, West Midlands See websitefor more details. Also Abergele Camera Club in North Wales is forming an AV Group. They will meet on the 3rd Monday of each month. Competition Results from 2011. Results are listed below.